High Frequency plastic welding is also called medium fusion. High frequency welding is relying on some property of the plastic, heating plastic products in a rapidly alternating high-frequency electric field. That is placing plastic material with high dissipation factor in the high frequency electric field, heat up and weld the products. The High-frequency processing method is usually placing the application in the High-frequency electromagnetic field. Which is placing them between two electrodes. The lower electrode is usually made with iron or aluminum and the upper electrode is so-called high frequency mold made accordant to welding length, range or shape of embossing patterns. PVC and PU is the most common thermoplastic High Frequency welding material. 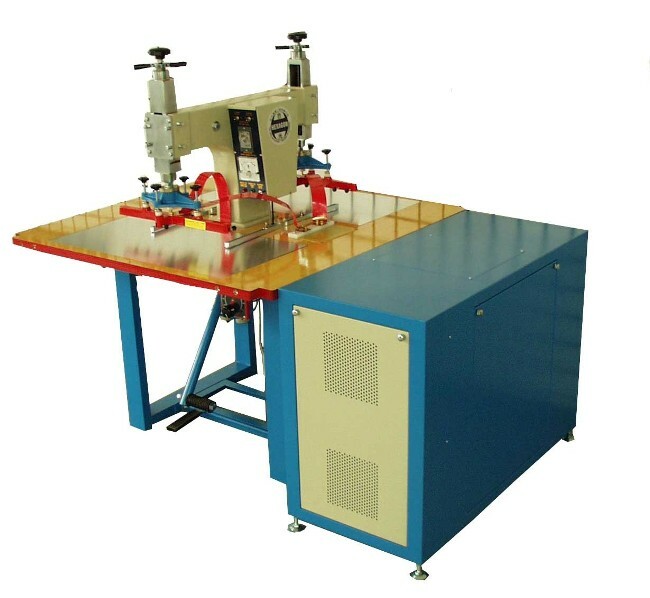 High frequency welding can also apply on other machine application such as polymers, including nylon (Nylon), EVA, PEVA, PET, PETG, APET and some ABS resin. Nylon (Nylon) and PET require using electric equipment together with warm-frequency welding machine to enable processing.